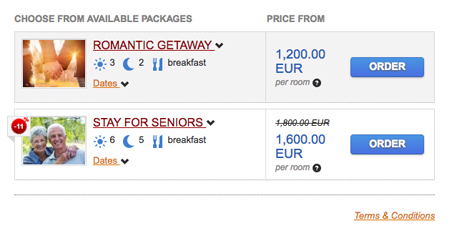 RESERVATION+ ("R+") is a smart booking tool which can be seamlessly integrated into your hotel website. R+ aims mainly at conversion rate from visitors to bookers. Therefore we intensively think through about each and every attribute of R+ to provide you with higher revenues than any other booking engine. 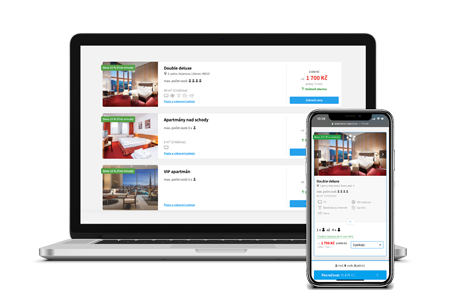 Shows room availability and correct price in real time, which provides certainty to your customers, lowers possibility of parallel reservations for rival hotels, and decreases demands for already occupied dates. Various types of discounts (like LastMinute, FirstMinute, special deals, non refundable rates, LongTerm) encourage your clients to finish their reservation in the booking engine. We also have discount coupons, which can increase your occupancy ratio during low season. 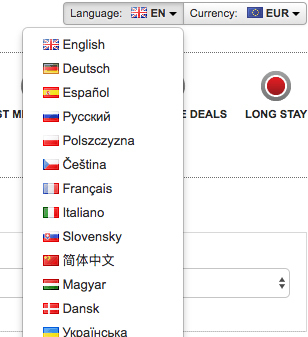 Even though 95% of your clients would be fine with only English as the second language our booking engine cares about the remaining 5% no less. Think of it as one extra reservation per every 20 customers. Or you can calculate it as a 5% revenue increase. Each step of R+ is completely understandable and requires only basic and neccessary information from the clients and therefore minimizes chances of not finishing the reservation process. Responsive design for mobile devices will increase the chances of new reservations. You will not lose any customers who are using smartphones (iPhone from Apple, phones with OS Andoid/Windows Mobile/Windows Phone/Symbian) with our Reservation+. Do you want to have the option of online reservations in your social networks? Do you want to advertise on global metasearch portals? 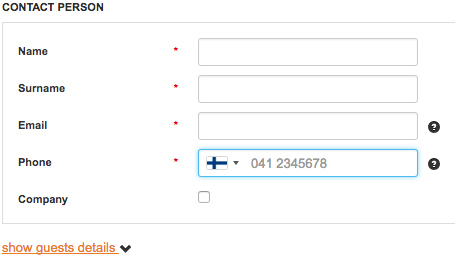 No problem, we know that hotel websites are not the only place where guests make their reservations nowadays. R+ can be effortlessly integrated to your Facebook profile or it can connect you with Tripadvisor.com. Clients can order additional services online, which increases the revenue from reservations. Presentation of stay packages will increase your sales during low season and encourage your clients to make decisions. 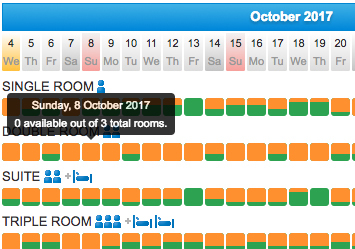 Graphic overview shows your customers occupied and available rooms. This will make your guest certain about their reservation, eliminate double-booking and limit demands for already occupied dates. 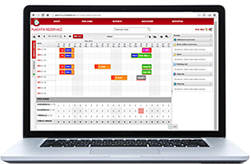 The occupancy calendar is connected with the booking engine, so clients can search for the available dates and then just click in the calendar to immediately make a reservation for a certain room. 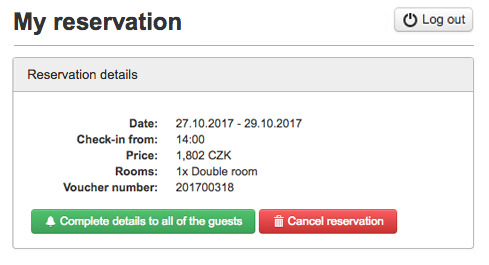 Guests are also able to switch between the reservation section and occupancy calendar without losing already filled-in information. Other modules like Pricelist, Reviews, and Map will provide your client with all the additional information they need to help them make the right decision. Altogether they make the entire reservation process more comfortable. Don't let your customers run away before they finish their reservation. Offer them various payment methods (credit cards, bank transfers) and encourage them to book their room with non refundable rates, immediate payment discount, etc. The advantages are clear - you will receive your money much faster and you will also minimize the chances of no shows and cancellations. You can optimize your occupancy not just by pricing, but also by possible payment methods. 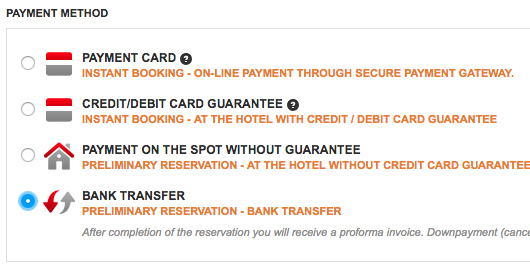 Set compulsory pre-payment for your top dates and let every reservation for low season be adjustable according to demand. Allow your guests to go through online check-in from the comfort of their homes and quicken the process at reception. This will save your receptionist time and also will make your guests' arrival much more comfortable, which might also reflect in your reviews.